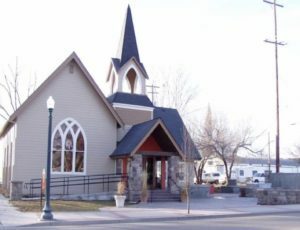 Downtown Eagle Idaho - Then and Now | Eagle Idaho Real Estate | Think Alei. Downtown Eagle has changed and developed for many years and I have been fortunate enough to watch it all happen before my eyes. 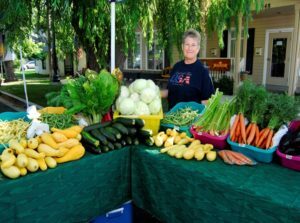 From when this town was a one road farm town to now with a thriving population and many small businesses, Eagle has grown more than anyone ever thought possible! One of the coolest things about Eagle is that all the buildings that played a role in its development were never torn down but renovated and turned into something else keeping the original infrastructure. But today, these are just a few of the gems that adorn the streets of downtown Eagle. Next door to the home Orville Jacksons owned and is now owned by his daughter, is an iconic coffee house that every local knows and loves. Rembrandt’s was opened in 2004, but the building itself is much older. 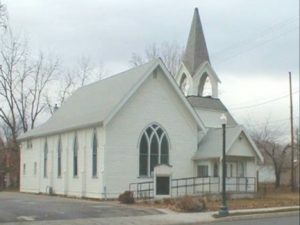 Originally, the building was the home of the First Baptist Church of Eagle. It was built all the way back in 1895 and was dedicated in 1896. After becoming a coffee house, it immediately thrived and became a fan favorite of the locals. Most coffee shops in the area come and go but Rembrandts has stuck around for nearly 15 years now and shows no sign of stopping. As a matter of fact, they have recently had a remodel in 2017 and has a new classy design that is a perfect atmosphere for an office party or wedding venue or simply a place to meet up with friends. Eagle Hotel was build in 1910 by Thomas Aikens and has had many transformations since then. It is a small two-story, 16-room building build by Thomas Aikens. It house every visitor passing through or construction crews on jobs for many years. Finally, as the cities around Eagle became more developed, there was less and less business coming through Eagle for a visit. The Eagle Hotel closed down in 1975 after over 70 years of service. After ceasing business, it was sold as an office space and has taken on many transformations for different businesses there. It has been home to a few coffee shop, a sweets shop, beauty parlors and even multiple retail shops. No matter what shape it takes next, it will always be a part of what makes Eagle home. In the heart of Eagle sits DaVinci’s which is an excellent Italian restaurant, although it hasn’t always been a fine eatery. The building itself used to be Eagle’s very first bank. Originally, the Eagle Bank was ran out of Orville Jacksons until the building was finished in 1910. It operated seamlessly for 22 years aside from an attempted bank robbery by some brainless criminals in 1924. Unfortunately, the bank was forced to close shop in 1932 due to the Great Depression. It became The Bank Club a year later which was a watering hole and dive bar frequented by locals. It opened as DaVinci’s — one of my personal favorites and highest recommendations — in 1997. They offer a plethora of amazing dishes and to die for appetizers, you really can’t go wrong. On top of the amazing food, they also have a full bar and a classy atmosphere. Heritage Park is what I consider to be the very heart of Eagle and is one of my favorite parks. Many local events are held in this small square in the middle of the city. There is a beautiful gazebo which is full of monogrammed bricks and dedicated tiles from local businesses. One of the tiles is actually from my family’s very own historical egg farm. In the summer time, this place is a favorite to take my kids. They love playing in the water fountains, climbing the trees and eating snow cones on the gazebo steps. 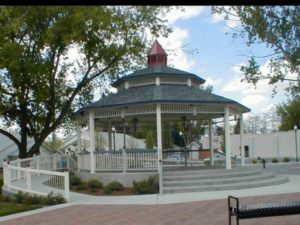 One of the crowning jewels of Heritage Park is the Saturday Market which happens May 4 – October 5. This is where local vendors come to sell their home crafted goods, artwork and delicious street food. There is also tons of local musicians and dance groups that come and perform. It’s a must for any new comer to Eagle! The Independent Order of Odd Fellows (IOOF) was an altruistic fraternal organization founded originally in the 18th century in Britain. The Eagle IOOF branch was held in a building built by the members of the organization. The top floor was used for their meetings while the bottom floor was used as a recreational space. In addition to a community rec center, it was also the city’s first high school. Soon the order gave up their space on the top floor to house 9-10 children needing a place to stay while attending school. From there the space has been a valley market and a grocery store. The building was torn down in the late 50’s and a more modern building was built that stands today. It has been home to Jimbo’s Café, the original Smokey Mountain Pizzeria and now home to Bodacious Pig. If you are looking for some of the best barbecue in Eagle, this is the place to be. My favorite appetizer is the pulled pork nachos. Careful though, you may just get hooked! As previously mentioned, Smokey Mountain Pizza has moved around a couple times, finally landing next to Heritage Park. Originally, the building that housed this pizzeria was the land for a general store at the turn of the century. Owned by Judson and Lane, then later sold to Aiken, nearly the founding father of Eagle, it was Judson and Lane’s General Merchandise followed by Eagle Mercantile. More recently, it was a paint store supplying paint to the valley and recently became Smokey Mountain within the past 10 years. Smokey Mountain has some heavenly original pizzas and pastas which they have worked hard to master. This is a great option for family dinner when you just aren’t feeling like cooking. Back when I was a little girl, I remember riding my horse over to the Eagle Drug Store, better known as Orville Jacksons, after school for a nice cold soda pop. Orville Jacksons was the place to go for any of your needs, kind of similar to a modern day Walgreens. 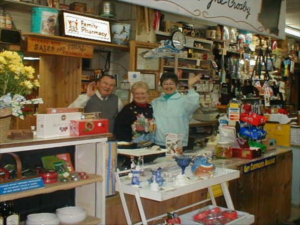 Though as time took over, this once all purpose store has become as The Gathering Place Saloon. There is often live music played and local bands that come to perform for the regulars that frequent there. 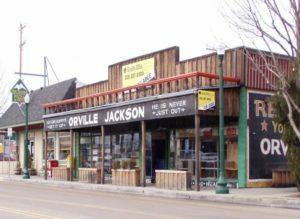 The historic and iconic Orville Jacksons sign still proudly hangs above the door welcoming people in to a standing piece of history. Eagle has such a rich history and has come such a long way especially in comparison to neighboring cities with lots of real estate. 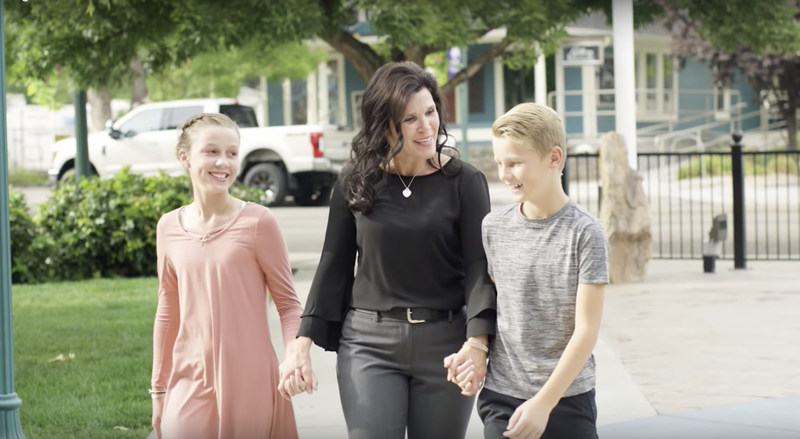 I hope next time you stroll down the streets of downtown Eagle you can picture all the incredible history that has shaped it into what it is today! If you ever have any questions please feel free to give me a call, I always love to chat about why I love Eagle.